The Universim from developer Crytivo just entered Early Access today and as promised it does include the Linux build. It's been quite a long road to get here, with the Kickstarter being succesful all the way back in 2014 with nearly $400K. Brief launch issues aside, with the game not actually being available when it was supposed to today they managed to get that quickly sorted so now more people can dive in and take a look. 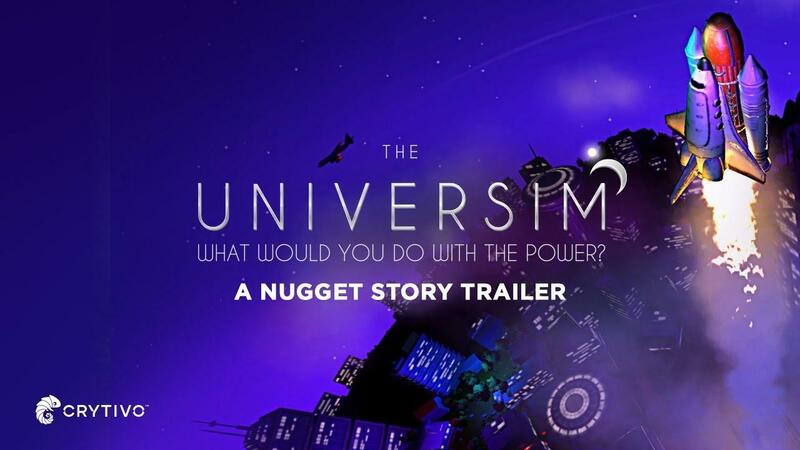 The Universim is "a new breed of God Game" and while it does have elements of that, with you having special powers like the ability to spawn a tornado, change the season and so on it also feels a bit like a city builder. Like other god games, you don't have direct control over your nuggets (people) but you will be directing them to build specific things and direct their development with research. For those who like a bit of hand-holding, you might want to wait as it pretty much dumps you on the planet as soon as the intro is done. As a quick tip to help prevent some frustration, to actually save the game you need to build the Archive in-game building and it needs to have someone assigned to it. I will have more thoughts up when it's further along in developement and I will continue to check on it with each new update. It's promising and I like where they're going with it so far. They have a lot of grand plans for it, I just hope they don't keep re-doing things as it's already been in development for a long time overall. If you want to read more about their future plans, check this post. Note: If the Linux version crashes during loading for you, it's missing the "libsteam_api.so" file. If you copy it from another game into the same folder as the executable (the installed folder) it will work. I have reported this to the developer already and they said they will fix "asap". I also seem to have to kill the game sometimes when I leave, as it doesn't always stop the process fully. Find it on Humble Store and Steam. Also available directly from their official site. Weirdly, it's also on GOG and their homepage banner mentions Linux, but the store page for it does not. I've reached out to GOG to clear it up either way. Is it bad for their wishlist stats if I keep it in wishlist until it is a bit more mature? Ketil Is it bad for their wishlist stats if I keep it in wishlist until it is a bit more mature? Don't quite understand what you mean? Wishlist it for as long as you like. I was thinking that wishlisting forever without buying could potentially be bad for Linux as it might cause expectation that isn't fulfilled later on. There is a big difference between wishlisting for a few months, and a few years, however, and I don't really know where I should draw the line. I doubt that, there will be many more on Windows doing the exact same thing. I don't think they get details other than the amount of people either (from the shots developers have shown me many times), they have no idea *who* you are to know how long you've had it wishlisted. Hey Liam, what do you mean with: "... to actually save the game you need to build the Archive and it needs to have someone assigned to it". Is like a in-game building?? Don't like the idea of early access, but I may give it a shot. x_wing Hey Liam, what do you mean with: "... to actually save the game you need to build the Archive and it needs to have someone assigned to it". Is like a in-game building?? Have re-worded to be clearer. In-game building. Well, just bought and tested. The game works really well, and didn't need to add any workaround for the missed lib (maybe they push a fix today?). Neverthless, I detected some minor bugs on AMGPU (there are artifacts on the main menu, but not during gameplay fortunately) and some minor errors on some text message (some message tags that are not replaced on the missions). I get a pretty stable 60 fps with a maxed out on my RX 580 (Mesa 18.1.6). I'm really impressed with graphics and narration voice. Also, the start scenes recalls me a lot the start scene of black & white (the one you go through the universe). Still, I'm not sure if there is and "end" in the game out of build your a develop your nuggets (that's the in-game name of your believers). Note: I think that steam achievements ain't working on my system. Did you have the same problem, Liam? What's with the sighing? They make it quite clear that if you've set Linux as your only platform in the store preferences, your wishlist counts for Linux. There's no ambiguity. They could make the store filters more discoverable or even change the default based on platform, but I'm not sure that would be a popular change.